2 device license: One license is for the desktop and another of a device of your choosing. The second device can be a second computer, iPhone/iPad, Android, or Windows Phone. Upgrades to the latest version are available to users with a valid license to the previous version at a discounted price. Users, who have an older license, do not qualify for any upgrade pricing. If you would like to upgrade your product, please contact customer service and include your name, address, product that you would like to update, and your registration keys. Additionally, customers, who purchased Jobfish or Jobfish Suite Professional 19-days or less before the official release date of the next major version, are entitled to a free upgrade. 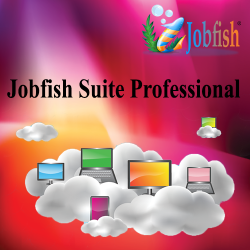 We do not offer any discount to go from Jobfish to Jobfish Suite Professional. Your purchase of a license for Jobfish Suite Professional entitles you on the 16th day following purchase to one of two beautiful wallpapers. Simply contact us mentioning your name, order number, and date of purchase along with which of the two images you want, and we will send you the image. If you would like both images, there is a nominal charge for both. Issues submitted via email go to our support portal. You will receive a response to issues on weekdays. Responses answered in the order received. Issue addressed by tier one support. We try to answer all priority support requests within 24-hours inclusive of weekends. Priority requests move to the top of the queue and are answered prior to regular requests. Support issue elevated to tier two support or engineering, if necessary to address the issue. You also receive telephone callbacks on up to two (2) issues, if necessary, to address your problem, if you are located in the United States. Issues must still first be logged into the support portal. You can purchase additional support through our online store. You are required to have the latest version of the software installed to receive technical support. Support - We will respond to your technical and/or billing inquiries usually within 1-day. We no longer offer support for old versions of our software. You must upgrade to the latest version to qualify for support. Feedback - If you have a feature on one of our products that you would like us to add, simply let us know and we will try to accommodate you in an upcoming release. Reliability - We have been developing software since 1985 ranging from Microsoft Windows to OS/2 to Linux. Our staff has many years beta testing and performing quality assurance services for major companies, such as Microsoft, Symantec, and others. Reinvestment - We constantly reinvest into Butterflyvista Corporation to ensure product enhancements, support and software utilizes the latest standards in code, design and usability. Community Service - Our products and services help bring people together. Our knowledge base and message board forums offer you the opportunity to share feedback, issues, etc in a common community forum. Software Use - You get full unlimited use of the software without any annoying evaluation dialog boxes asking you to register. Newsletter - On an opt-in basis via our eNewsletter and SMS Text Messaging page, we can notify you of upcoming upgrades and new product announcements. From time to time we also have tips and tricks that you can use to get more mileage of our products. Upon successful completion of the registration process, you should receive your email with your registration information usually within a few minutes. If we cannot send you your registration information within 24 hours that is most likely because you entered an invalid email address or your mail server rejected our email. Please contact us to investigate your order. Please provide us with your order details inclusive of your order number and payment processor. All our products come with free upgrades to minor releases. You will have to pay an upgrade fee to upgrade to the next major version. You will have to pay the full version, if you miss one major upgrade. Contact us for upgrade details. Because we offer a free trial period on ALL our software packages, we do not offer any refunds for any reason. 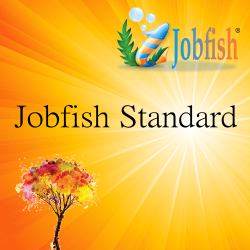 Individuals who purchase a Jobfish Standard License will receive their permanent license 14 days after purchase. During the first 14 days, users receive a 14 day temporary license. If you have a unique/specific issue, then please contact us. Click here to contact us. In the case that a refund is granted, non-refundable processing fees are not refundable and there is also a $7.00 USD refund processing fee. Your registration gives you more than just an activation code and license file. You get a complete suite of services from Butterflyvista.